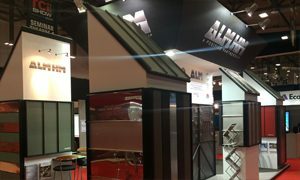 ALM is one of the leading distributors of Enviro Rolled Lead in the UK construction market. Our Enviro Lead is manufactured to BS EN 12588; 2006 in accordance with British Standard and European Norms for the building industry. Our ancillary products are recommended by the Lead Contractors Association, in addition our Enviro rolled lead has a 50 YEAR Warranty. We hold extensive stocks of Enviro Lead in all codes including flashing, non-standard sizes which are easily provided upon request, please contact our offices to discuss your specific requirements. Please also click here to see our weights charts. Enviro Lead is available in standard cut widths for lead flashing along with wider widths for roofing and cladding. Lead in construction has an extremely long history not just in the UK, but worldwide. Lead has been commonly used for thousands of years because it is widespread, easy to extract, easy to work with, is highly malleable as well as easy to smelt. Enviro Lead is available in Codes 3/4/5/6/7/8. The codes relate to the thickness of the metal which can heavily affect the performance and installed weight. The application for which lead is used will determine which code will be required. Lead is a highly specified building material as no other metal can match its longevity once correctly installed, and the protection lead offers is second to none. As well as Enviro Lead for roofing and cladding, ALM can provide decorative lead in the form of planters, rosettes, rainwater systems and gargoyle. Enviro Lead is malleable enough to take various forms regardless of how technical they may seem. The craftsmen ALM work with are the very best in their field and Enviro Lead has been used for all kinds of buildings from the average home to the stately home, churches to cathedrals and castles to palaces. Please visit the LCA website for details of projects. Associated Lead Mills through its sister company Royston Lead also provide specialist Lead products for the nuclear industry, medical and acoustics. Rolled lead sheet and flashing has been awarded BRE Green Guide ratings of A and A+ when manufactured to British Standard BS EN12588. As a material Enviro Lead is 100% recyclable and the advantages of its use are vast when compared to other materials used for the same purpose. Enviro Rolled Lead Sheet and Flashings can be formed around all areas where water ingress is high risk such as chimney base & rooftile abutments, roofing tiles and brickwork of a building. Due to the malleability of the material itself and the consistency of its thickness, correctly installed Enviro Lead sheet will move with a building, expanding and contracting, coping with the wide range of temperature fluctuations a building can experience. Flashings made from plastics and bitumen can be susceptible to cracking under UV-rays becoming brittle over time. This can lead to water ingress, damage to the roof structure itself, severely reduce K value of the insulation and cause internal damage to the building. Flashings around chimneys, dormer or bay windows, parapet cappings, gutters, parapet gutters and valley gutters in particular are specifically designed to keep out water and should always be formed using a trusted and tested material that will not require maintenance or replacement for many years to come. Enviro Lead is by far the best material to install.